Another character poster from the upcoming live-action G.I. Joe movie. 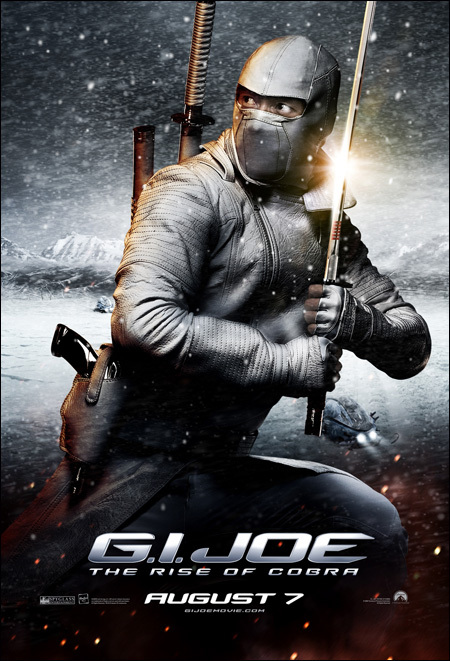 That's South Korean actor Lee Byung-hun as the Cobra ninja Storm Shadow. Is it just me, or does this movie look terrible? The more I see from this movie, the more it looks like it's going to be a big-budget disaster. I know there are a lot of people who are excited about this movie, but it just looks bad. And this is coming from a longtime G.I. Joe fan. Let's hope that at the very least, we'll get to see some badass action from Storm Shadow. But I'll be going in really really really low expectations.